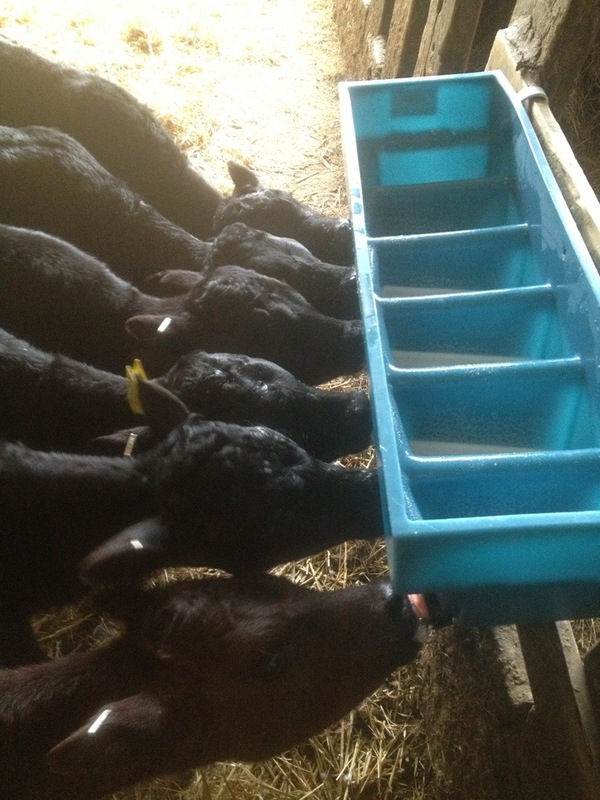 We’ve bought some calves from a local dairy farmer. 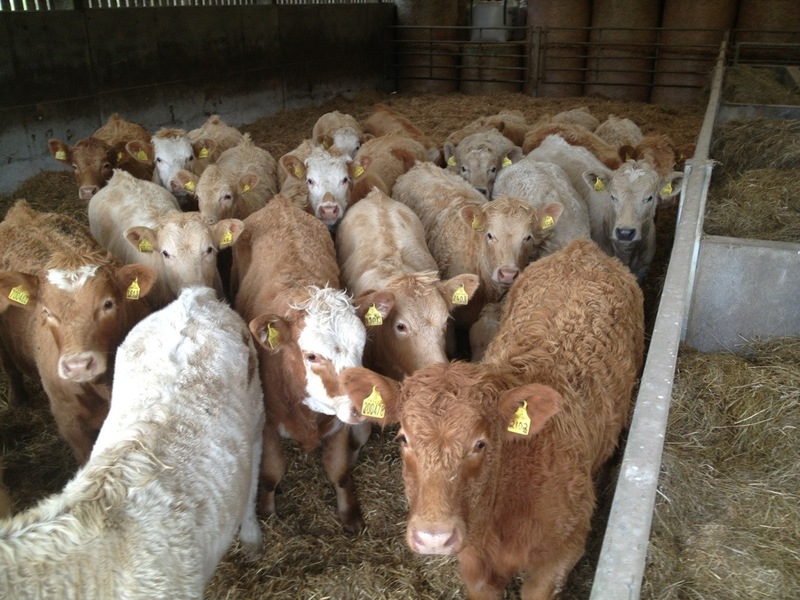 These will be reared here, and kept on to be cows in our beef herd. Any name suggestions?! 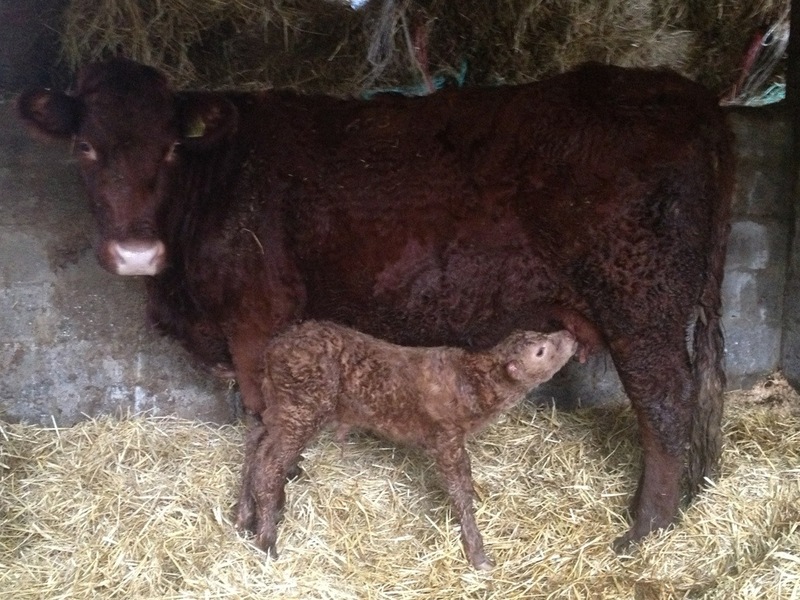 Three hours old, and the newborn calf is like an Agricultural student – already found the bar! Only slightly frosty here in Cardigan. 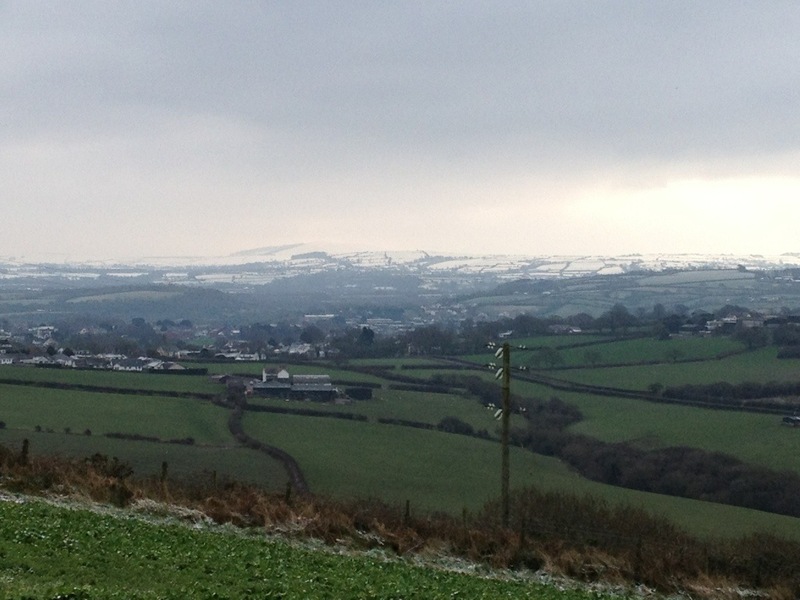 But the Preseli’s in the near distance are covered in snow! 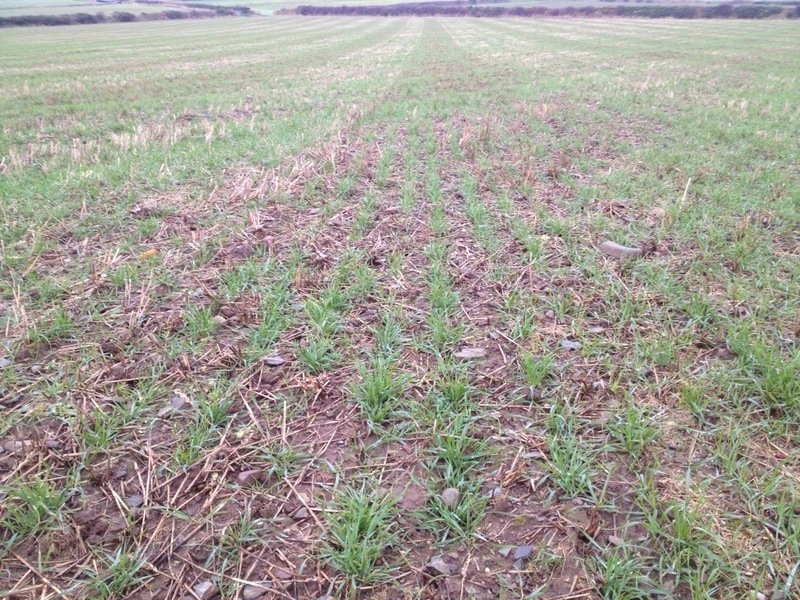 Our direct drilled winter wheat is looking pretty good, considering the rain it’s had since planting. Let’s hope for a bumper crop to keep all those chickens fed! With the continued wet weather, we have brought in this year’s spring born calves. They should get on better inside now. This is at least three weeks earlier than usual, due to ongoing wet conditions. Lucky we have enough good food for them, as it’ll be a long winter! It’s been busy down here on the farm! 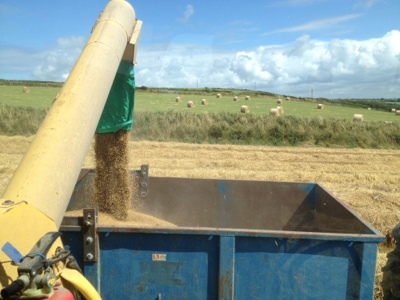 Combine harvesting, baling straw, and baling and wrapping silage! All on the same day! 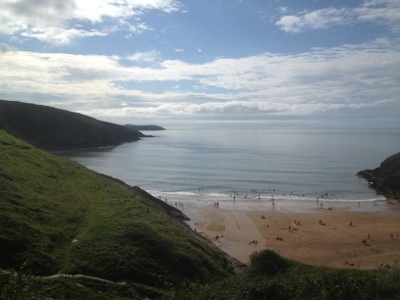 Glorious view from the top of Mwnt beach towards Cardigan Island on a sunny Sunday afternoon. Loading the last of the hay bales. 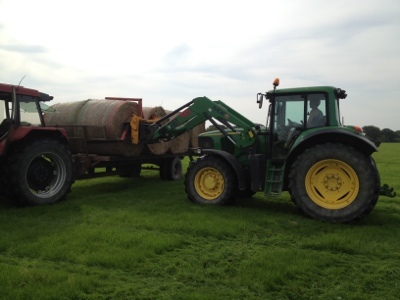 Joel Westaway, our placement student from Harper Adams University College places the last of the hay bales collected onto the trailer. These will now be stored inside in the dry. 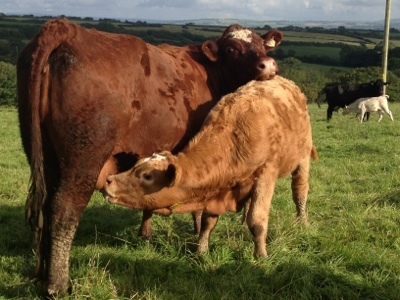 One of our spring born calves enjoying Sunday tea with its mother! 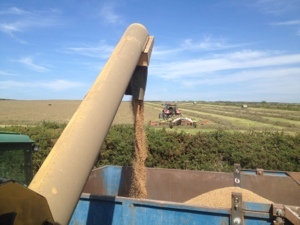 Grain harvest begins with the winter barley. The grain is kept and processed into animal feed. 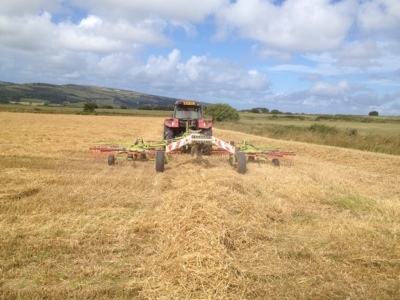 Whilst the straw is raked up and baled for golden yellow bedding straw.